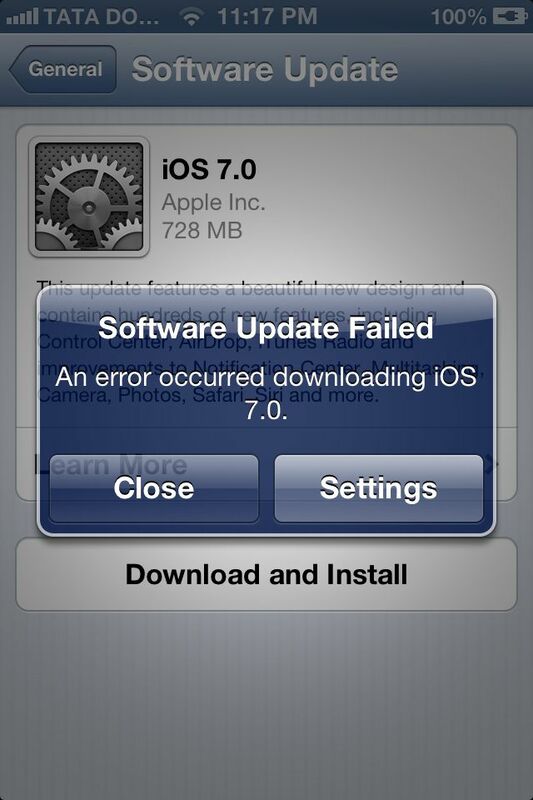 Apple TV 6.0 update came soon after iOS 7.0, but due to some bricking issues Apple revoked this update. 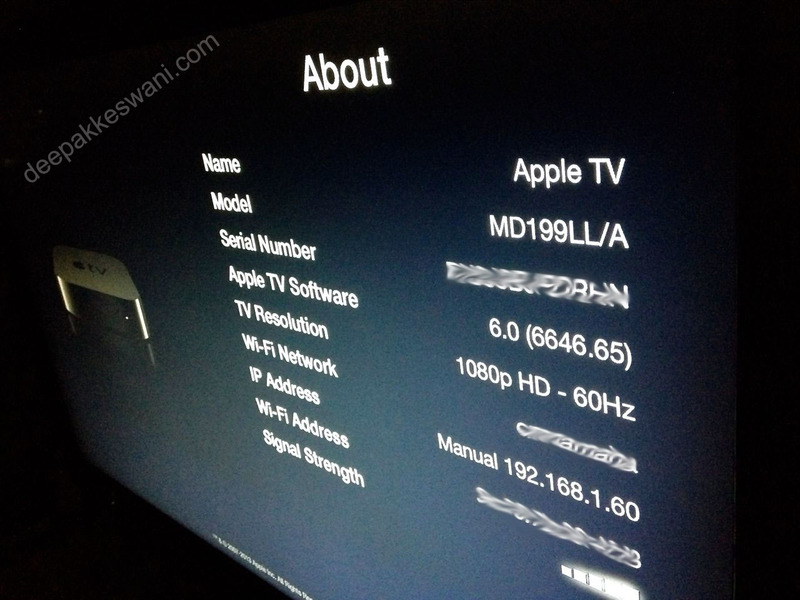 Now that is fixed and Apple TV v 6.0 update is available for download and it works well. You can see the new apps in What’s New Screen. 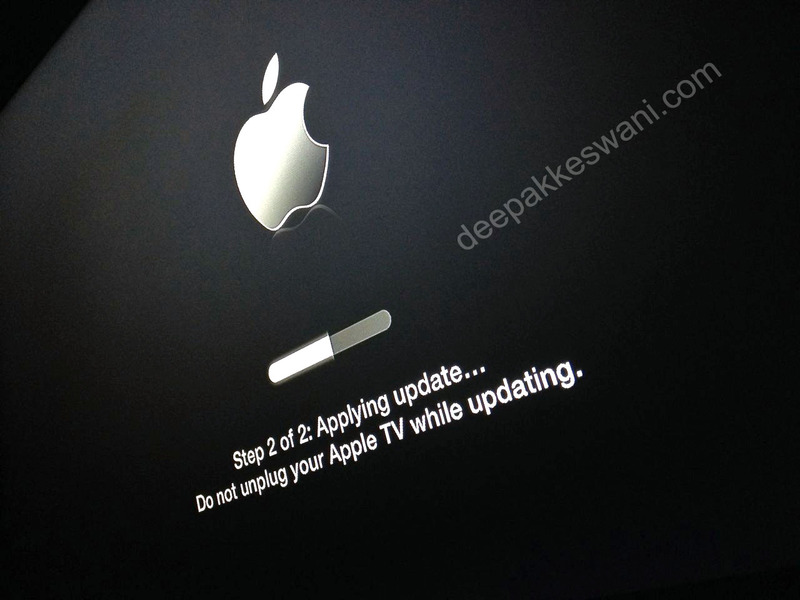 Apple TV 6.0 update brings iTunes Radio for US only, not for India. iCloud Photos & Videos directly from your streams. 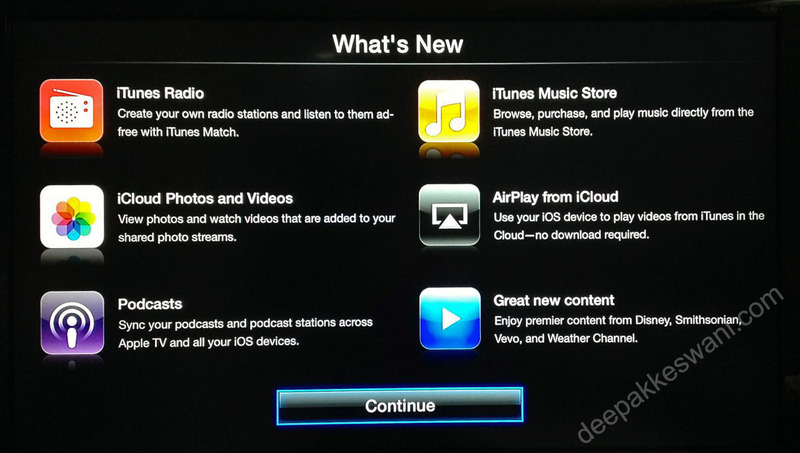 And now you buy music/movies directly from iTunes store and play on Apple TV. Recently Apple also added Vevo and Weather Channel. If you are backing up content in iCloud, you can show photos or videos directly on TV. Overall it is not great enhancement, but yes architecturally now there is huge potential in this device.